Where Ceres' departure from your work sector earlier in the week brought all the planetary activity in either of your professional houses to an end, until she returns in late October that is, the Moon's monthly visit to your career sector is a reminder that the professional gods are still keeping a watchful eye on things. With new income opportunities opening up later in the month keep your finger on the pulse and ear to the ground, trusting what your professional instincts are telling you as you stand ready for major new doors to open across all aspects of your life. 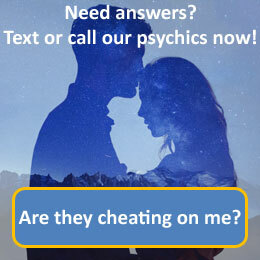 Call 09069 669 606 for a more detailed reading with our psychics today. Virgo, the maiden, is the sixth astrological sign in the Zodiac, originating from the constellation of Virgo. Virgo is considered a "feminine", negative (introvert) sign. It is also considered an earth sign and is one of four mutable signs. Virgo is ruled by the planet Mercury, but Ceres has been strongly suggested as the ruler of Virgo for some modern astrologers. Some think that physically, individuals born under the sign of Virgo tend to have a graceful figure, a roundish head, delicately-shaped lips, large and clear eyes, small, symmetrical, and refined features, a high forehead, and thin eyebrows. Also, they are thought to usually be of slightly above average height. Virgos are insightful, responsible and precise individuals. They can also be fussy, nervous and overly critical.